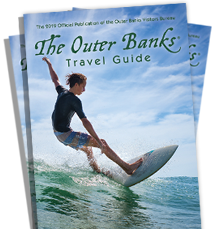 Outer Banks Air Charters is the number one provider of air service to and from the North Carolina Outer Banks. A locally owned company, every year we fly more OBX passengers than ANY US Air Carrier. Whether you are an OBX resident needing to take a quick business trip or you want to visit the Outer Banks and would like to see the attractions from the air, we would love to help. We are experienced, friendly, flexible and offer the best rates in the area. Regardless of the reason you are flying, we strive to make your experience as safe, comfortable and as enjoyable as possible. Coastal Helicopters provides you with safe, reliable, cost effective transportation to and from the Outer Banks of North Carolina, the mid-Atlantic region and beyond with our on-demand air charter service. You name the time and place, and we&apos;ll get you there. Why deal with the hassles of traffic or commercial air travel when you can sit back and relax in our air conditioned, four seat Robinson R-44 helicopter and enjoy a beautiful ride along the way? We are an ‘on-demand’ charter service. We get you to your destination when & where YOU need to get here. We meet your schedule instead of you meeting ours! Turn a 3 hour drive into a 30 minute flight. Hitch a reliable ride straight to your destination whether it be Hatteras, Ocracoke, Kill Devil Hills or Manteo!